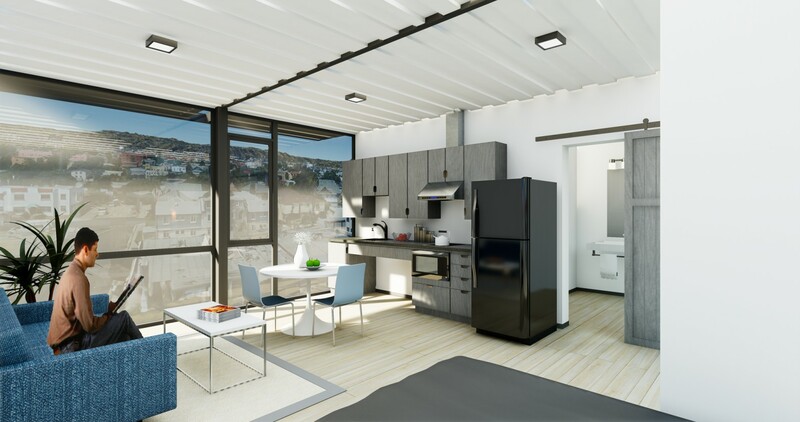 A Los Angeles neighborhood will soon be home to a new shipping container development created for individuals transitioning out of homelessness. Designed by KTGY Architecture + Planning, the Hope on Alvarado project will repurpose several, locally-sourced shipping containers as the building’s main construction material, hopefully creating an urban design model for affordable housing in densely-packed cities around the globe. Slated for a .44-acre site at 166 Alvarado Street in L.A.’s Westlake Neighborhood, the proposed design will offer 84 units made up of studio and one bedroom apartments for tenants that are in the process of getting off the streets. Multiple shipping containers, which will be sourced locally in Los Angeles, will be stacked together to create a single, four-story building centered around a courtyard. The strategic layout is geared to providing new residents with privacy and security, as well as fostering a strong sense of community. The individual apartments will be created by modifying the containers into units of 400-480 square feet. Doors and portions of the containers’ metal skin will be removed to be replaced with floor-to-ceiling windows, along with various interior fixtures and finishes. The development will also house the tenant support-services office on the street-level. Parking will be provided as well as ample bike-storage. Although still in the development stage, the Hope on Alvarado project will hopefully be the first in a series of Hope developments in the Los Angeles area. 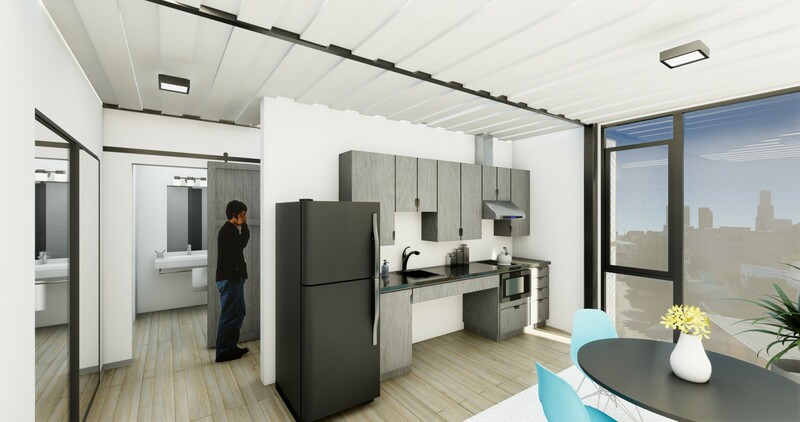 Both the architects and the developer, Aedis Real Estate Group, plan to continue building more shipping container developments in other cities in an attempt to create a model for sustainable, affordable housing options. A Los Angeles neighborhood will soon be home to a new shipping container development created for individuals transitioning from homelessness. 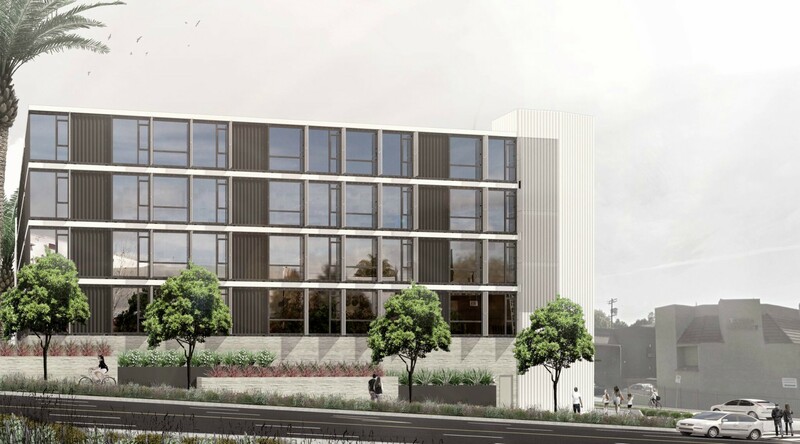 Designed by KTGY Architecture + Planning, the Hope on Alvarado project will repurpose several, locally-sourced shipping containers as the building's main construction material, hopefully creating a feasible urban design model for affordable housing in densely-packed cities around the globe. 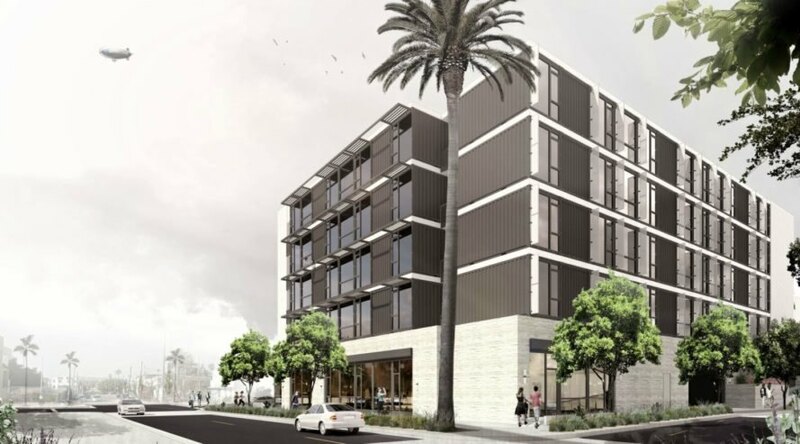 Slated for a .44-acre site at 166 Alvarado Street in L.A.'s Westlake Neighborhood, the proposed design will offer 84 units made up of studio and one bedroom apartments for tenants that are in the process of getting off the streets. Multiple shipping containers, which will be sourced locally in Los Angeles, will be stacked together to create a single, four-story building centered around a courtyard. The individual apartments will be created by modifying the containers into units of 400-480 square feet. Although still in the development stage, the Hope on Alvarado project will be the first in a series of Hope developments in the Los Angeles area.